The following is a summary of recent crimes in the unincorporated areas surrounding Thousand Oaks. 01-11-13 – Suspect(s), known to the victim, stole items from the victim’s residence. 01-13-13 – Suspect(s) shattered the victim’s rear vehicle window with a small projectile consistent with a pellet gun. 01-22-13 – Suspect(s) entered the victim’s unlocked residence and took items belonging to the victim. 01-24-13 – Two suspicious subjects were contacted in the area and identified as solicitors without the required paperwork necessary to solicit. Subjects had been previously warned and were issued a citation for the violation during this contact. 01-25-13 – Suspect(s) forced entry into a secured gate at the business and cut the locks of shipping containers stored on the property. The suspect(s) took items belonging to the business. 01-15-13 – Suspect(s) stole a catalytic converter from the victim’s 1997 Toyota 4-Runner. The vehicle was parked on the street in front of the residence and the converter had been cut from the exhaust system. 01-20-13 – Suspect(s) attempted to remove the catalytic converter from the victim’s 2001 Toyota Sequoia while the vehicle was parked on the street in front of the residence. The rear pipe was completely sawed through, while the front pipe was sawed through ¾ of the way. The suspect(s) were possibly interrupted by a neighbor that observed a suspicious vehicle parked in the street near the victim’s vehicle. This type of crime is common with Toyota trucks and Toyota sport utility vehicles. The suspects take the converters for the metals contained within. The suspect(s) then recycle the metals for cash. If you own a vehicle of this make, if possible, secure the vehicle behind gates on your property or in your garage. 01-11-13 – Suspect(s) took the victim’s unoccupied vehicle, when the victim left the keys in the ignition with the engine on, in the driveway of their residence. 01-21-13 – Suspect(s) entered the rear door to the garage and then entered the unlocked door connecting the residence to the garage. The suspect(s) took items belonging to the victim from the residence. These types of crimes are a reminder to never leave your residences or garages unlocked or unsecured. If you see anyone suspicious, or any suspicious activity, contact the Sheriff’s Office at 805-654-9511. Always call 911 in an emergency. 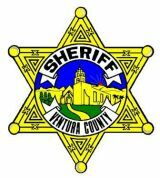 The Ventura County Sheriff’s Office is warning residents that several solicitors have been contacted in Thousand Oaks and surrounding areas and are sometimes linked to crimes or suspicious activity. If you see anyone suspicious, or any suspicious activity, contact the Sheriff’s Office at 805-654-9511. Always call 911 in an emergency. Ventura County Crime Stoppers will pay up to $1,000 reward for information, which leads to the arrest and criminal complaint against the person(s) responsible for crimes. The caller may remain anonymous. The call is not recorded. Call Crime Stoppers at 800-222-TIPS (8477).